One Fat Frog Restaurant Equipment is getting truckload after truckload of high quality, used commercial restaurant equipment in every week. We apologize for not keeping an inventory online, but as soon as restaurant equipment comes in, One Fat Frog Restaurant Equipment is flipping it to clients up and down the east coast. 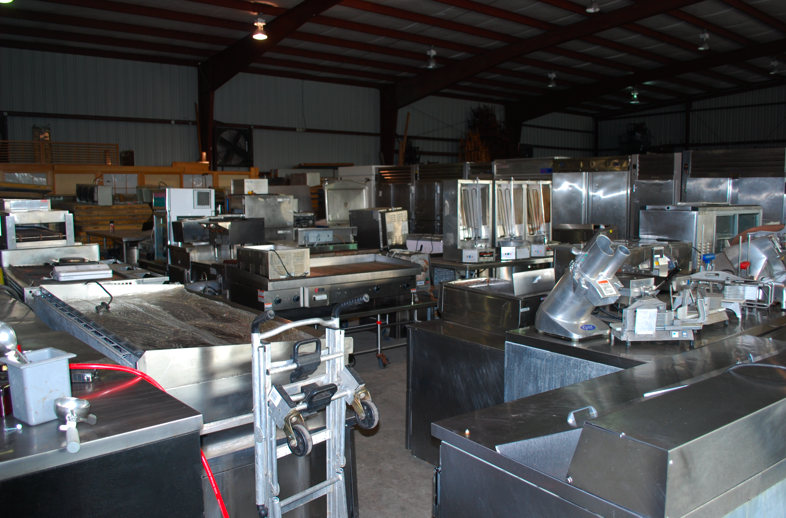 Here’s a look at some of the used commercial restaurant equipment One Fat Frog Restaurant Equipment just got in. • Several used walk-in coolers and walk-in freezers, with a few combos to boot! Call for details on sizes and pricing. • Several used refrigerated prep tables: pizza and sandwich prep tables available. Pizza prep tables are long in the front with raised backs. One Fat Frog Restaurant Equipment offers free custom cutting boards for used prep tables! • A couple used, 4-well steam tables. • 3 tilt kettles: a couple 40qts. and one 20 qt. All are electric and manufactured by Groen.